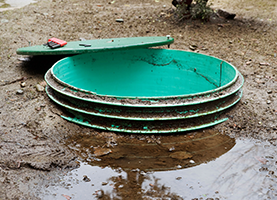 Booso’s Septic Tank Cleaning is licensed to operate in Preble, Montgomery, and Darke Counties. Booso’s Septic Tank Cleaning provides reliable and efficient services for your onsite sewage systems in Lewisburg, OH, and its surrounding areas. Our septic system cleaning, pumping, and inspection services have been satisfying customers like you since 1953! 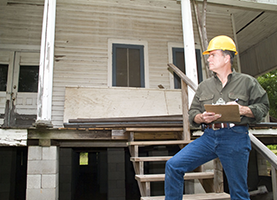 Our job is to assist you in solving your troublesome septic issues and to help you maintain your septic system. Your septic system is an efficient, self-contained, individual wastewater treatment system that needs regular maintenance. 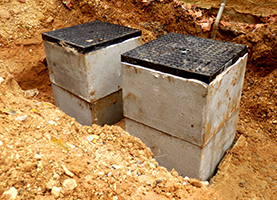 Adequate drainage is essential for an onsite septic system. You can flood your system’s leach field by letting too much water flow through the system. If there is an excessive build-up of solids, it clogs pipes and enters the leaching system. This is why you need regular maintenance; and especially if you have older systems. Our highly trained staff and state-of-the-art equipment are fully equipped to accommodate your septic system cleaning needs. We perform all jobs with equal skill. Our customers understand responsible decisions about septic system maintenance have a positive impact on ground water and any economic plans they may have for their properties. Do not put your trust in anyone else! Booso’s Septic Tank Cleaning has the track record and experience to service your septic system quickly. Whether your septic system is backed up, or you just need regular system maintenance, our professional septic pumping technicians get the job done. If you have hired us before, try us now. Schedule an appointment with us about your Lewisburg, OH area property, so we can quickly get started on your septic system service!